Coachella 2018 was all about hip-hop—at least more so than previous years. The music festival managed to reel in a slate of performers at the peak of their popularity (SZA, the Weeknd, Migos and, most notably, Cardi B) and some whose demand never seems to dwindle (Eminem, Beyoncé). That also meant an impressive slate of surprise guests, including Kendrick Lamar, 50 Cent, Dr. Dre, Jay-Z, Chance the Rapper... and the internet-famous yodeling kid, Mason Ramsey. 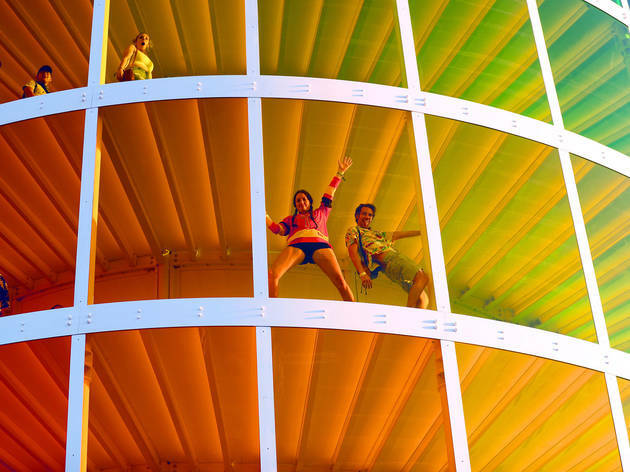 Even with its expanded footprint and attendance, Coachella manages to make its attendees feel like they’re part of an unparalleled experience, whether via musically and visually explosive sets from the likes of St. Vincent and Odesza or through towering, chromatic installations of Instagram-friendly art. Scope out some of our favorite photos from Coachella 2018 below—though consider these minor spoilers if you’re saving yourself for weekend two.